IN LIFE IT IS SAID THAT IT'S NOT THE DESTINATION BUT THE JOURNEY THAT IS IMPORTANT. WHETHER IT BE A DAILY THOUGHT, PAST EVENT OR FOND MEMORY I HOPE YOU ENJOY WHAT I HAVE TO SHARE…IN MY LIFETIME! 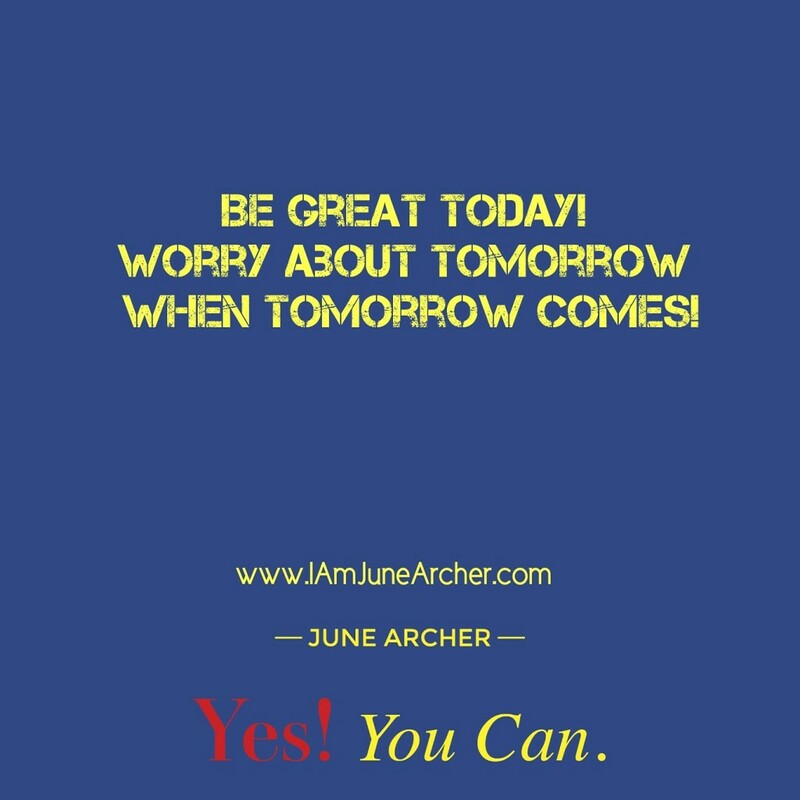 Posted on September 2, 2015 September 2, 2015 Author June ArcherTags GREAT, GREATNESS, I AM JUNE ARCHER, INSPIRATION, JUNE ARCHER, MOTIVATEU, MOTIVATION, TODAY, TODAYS KEYS TO SUCCESS, TOMORROW, YES EVERY DAY CAN BE A GOOD DAYLeave a comment on Today Is The Focus! Open up your heart to forgive those you truly want to love with all your heart. To hold grudges and carry a heavy heart is only blocking your blessings as well as the love you deserve in return. 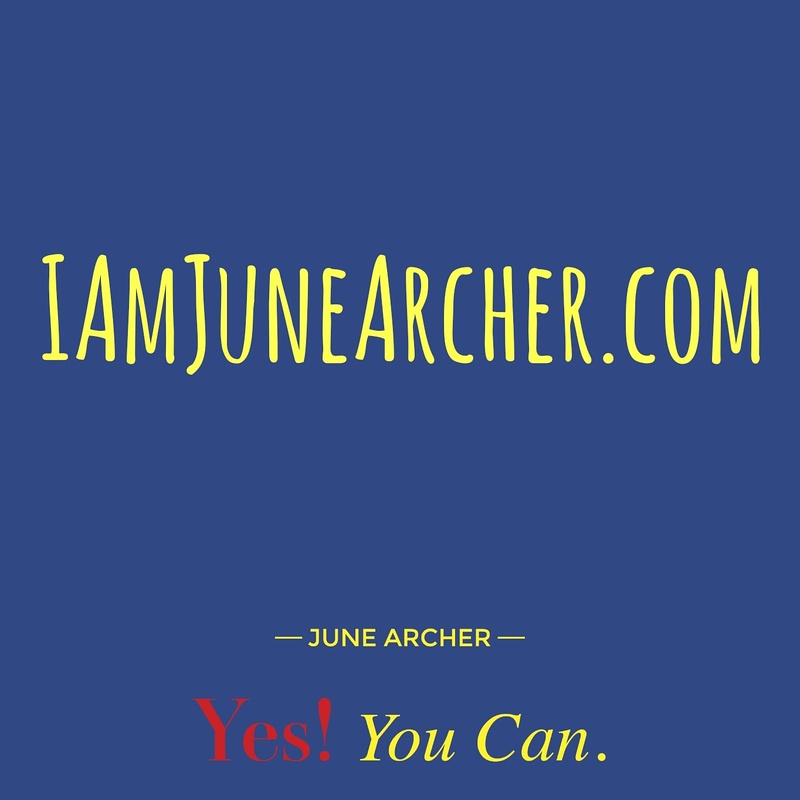 Posted on September 1, 2015 September 2, 2015 Author June ArcherTags BLESSINGS, FORGIVE, HEART, I AM JUNE ARCHER, INSPIRATION, JUNE ARCHER, MOTIVATEU, MOTIVATION, TODAYS KEYS TO SUCCESS, YES EVERY DAY CAN BE A GOOD DAY, YES YOU CANLeave a comment on Open Up Your Heart! No matter how hard you attempt to motivate the people around you, you must first understand that your sense of urgency and willingness to succeed most times will be more intense than those around you. 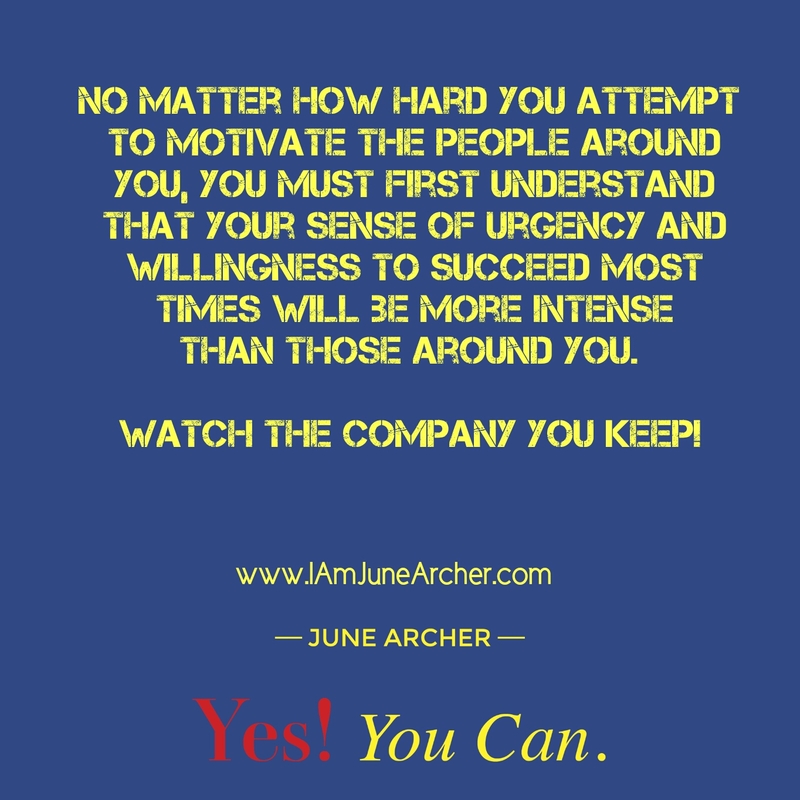 Posted on August 31, 2015 September 2, 2015 Author June ArcherTags I AM JUNE ARCHER, INSPIRATION, JUNE ARCHER, MOTIVATEU, MOTIVATION, YES EVERY DAY CAN BE A GOOD DAY, YES YOU CANLeave a comment on Watch The Company You Keep! Don’t be consumed with the idea that the grass is greener on the other side when you know you don’t have the mindset or what it takes to keep your own grass green. 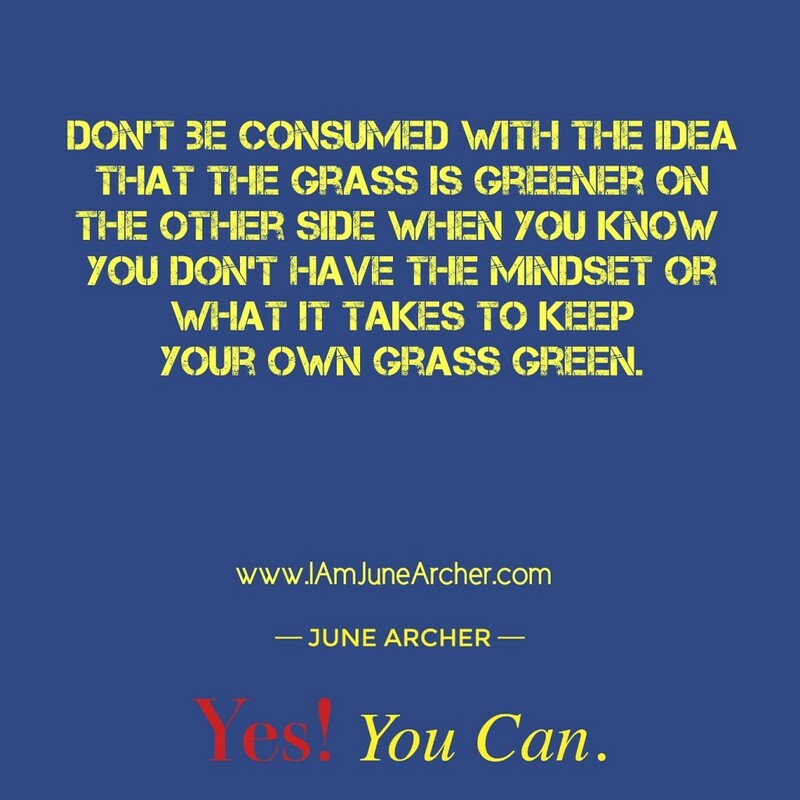 Posted on August 27, 2015 August 27, 2015 Author June ArcherTags I AM JUNE ARCHER, INSPIRATION, JUNE ARCHER, MOTIVATEU, MOTIVATION, TODAYS KEYS TO SUCCESS, WORDS OF WISDOM, YES EVERY DAY CAN BE A GOOD DAY, YES YOU CANLeave a comment on Green Grass Theory! I Am: Two words, so powerful when put together! What are you? Who are you? 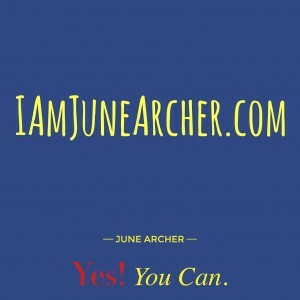 Posted on August 21, 2015 August 27, 2015 Author June ArcherTags AUTHOR, IAMJUNEARCHER, INSPIRATION, JUNE ARCHER, MOTIVATION, MOTIVATIONAL TEACHER, YES EVERY DAY CAN BE A GOOD DAY, YES YOU CANLeave a comment on I Am: Two words, so powerful when put together! Copyright © 2015 June Archer. All rights reserved. This site was created in partnership with James L. Watson for Love After War Studio. A proud member of WE ARE DESIGNERS.